With our community-based tours, the local residents invite travelers to visit their communities to discover local habitats and wildlife in their region and share their traditional meals, ancestral rituals, cultural activities, language, and values. Based on a fair-trade model, Native Tours pays a fair price to the community residents in exchange for rich cultural activities, authentic local cuisine, and traditional accommodations. Community-based tourism supplements the community’s conventional farming and animal husbandry income and a portion is set aside for projects that benefit the community as a whole. This social and economic enablement strengthens communities through increased awareness of the commercial and social value placed on their cultural heritage by tourists, thus fostering pride in their cultural identity and a desire to preserve their cultural heritage and natural resources. “Ayni” in the Quechua language is a fundamental concept among the Andean people meaning mutual help or reciprocity. Ayni is not just about to being compensated for a task – it’s about the exchange of energy between human beings, the natural world, and the universe. At Native Tours, we believe that community-based tourism embodies the ancient Incan concept of “ayni”, where travelers experience a genuine and rich cultural exchange and communities enjoy social and economic empowerment. We are proud to work directly with 2 communities near Cusco, Peru to connect travelers with the best community-based tourism experiences: Amaru & Paru Paru. We also offer community-based tourism to other regions of Peru through our local partner operator Tupay, a social enterprise who subsidizes its affiliate non-profit Centro Barolome de las Casas infrastructure, economic, and cultural heritage preservation projects with proceeds from its tours. The indigenous community of Amaru snuggles into the mountainside at about 3,800 meters of altitude. It is about 5 kilometers from Pisaq, a one hour and fifteen minute drive from Cusco via the Sacred Valley highway. During the day, most of the men are away working in their fields or with their animals, returning only in the evening. The Community-based Tourism Association was founded by the women of Amaru to share their delicious traditional cuisine and ancient weaving and dyeing techniques with visitors. When you visit the Amaru community, you will be instantly captivated by the warm welcome of native "k'antu" and "mithuy" flower petals and greetings of "Ñañay"/"Turay", which mean "sister"/"brother" in Quechua. Demonstration and participation in Andean agricultural techniques using ancestral tools. Homemade organic meals exemplifying the biodiversity of the Andean crops. Demonstration and participation in the ancestral dyeing process, starting with the shearing of the llama or sheep, wool spooling, the use of native plants and minerals to dye the yarns, and finally the weaving of ancient intricate patterns with secret local meaning. Guided hiking to explore the nearby valleys and mountains. Evening bonfire with traditional Andean dances, costumes, and music. Overnight home stays with shared modern bathrooms and warm water showers. Mrs. Carmen has lived in Amaru all her 60 years. She is a respected teacher of ancestral weaving techniques to younger members of her community. 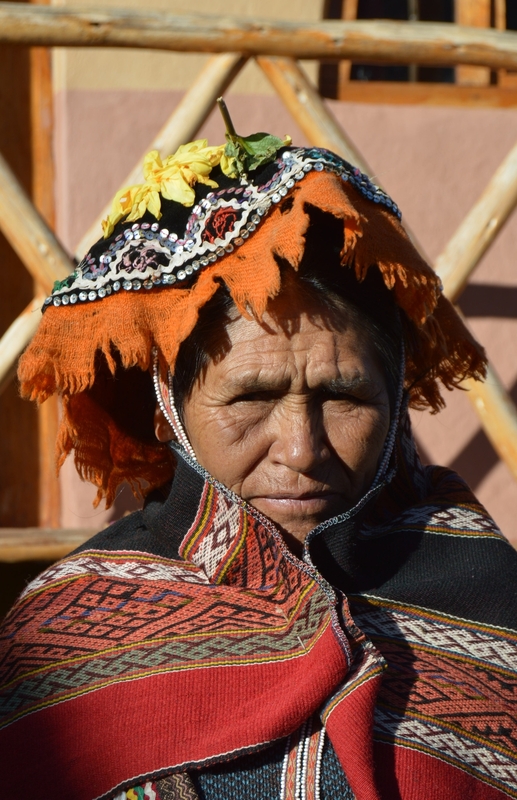 Mrs. Constantina has also lived all of her 75 years in the Amaru community. She is also a respected teacher of ancestral weaving techniques to younger members of her community. 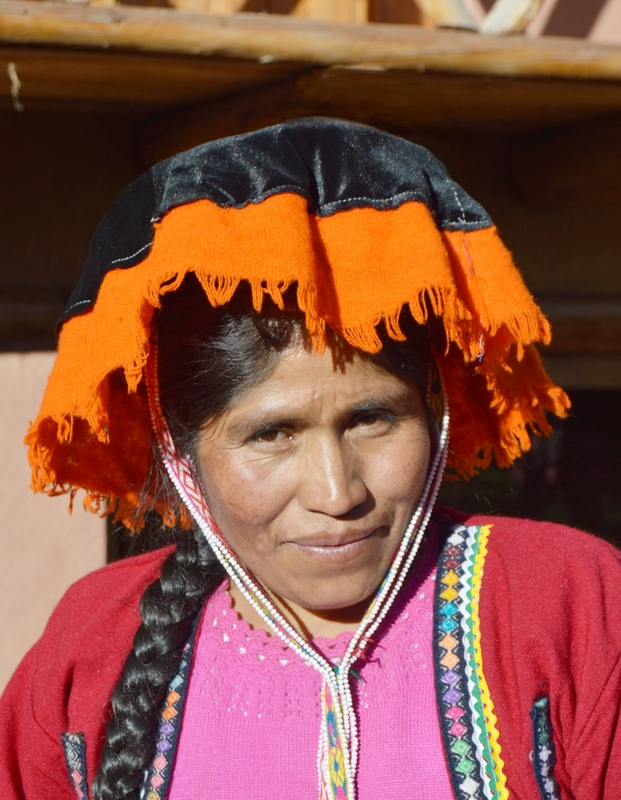 At 45, Mrs. Paulina is a weaver and Coordinator for the Amaru Textile Association. 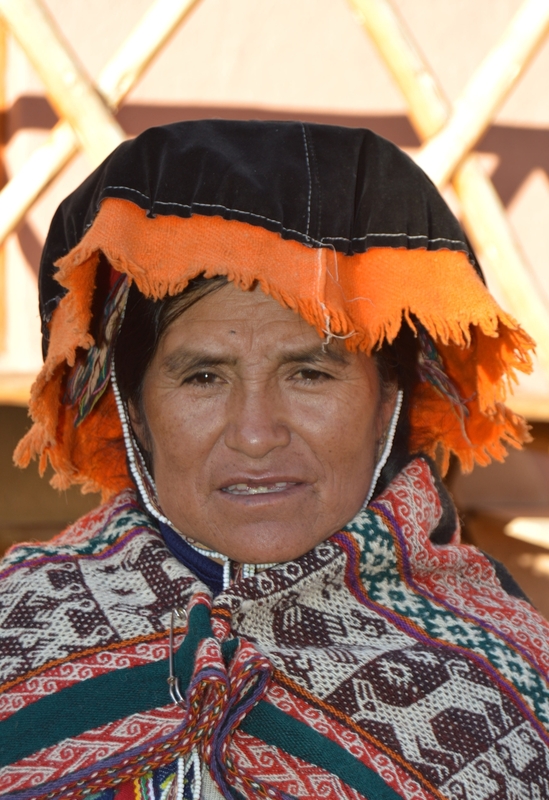 Rufina, 38 years old, is the local Amaru Guide and President of the Community-Based Tourism (CBT) Association. One of the younger members of the Amaru community at 28, Ceferino is a farmer and local guide. He also assists the Community-Based Toursim Association Logistics Coordinator. The indigenous community of Paru Paru nestles snugly between lush valleys of quinoa, a spring-fed lake, and 4,000-meter high mountains. It is about 11 kilometers from Pisaq in the province of Calca, a one hour and thirty minute drive from Cusco via the Sacred Valley highway. Steeped in ancient traditions, Paru Paru cultivates over 100 native varieties of potato, corn, and quinoa as well as a few foreign crops they have adapted to the region, such as barley, wheat, fava beans, carrots, radishes, cilantro and parsley. Paru Paru's community is self-sufficient. They grow or raise nearly everything they need, so they travel to the city only occasionally to trade their products for salt and sugar. Paru Paru has a kinder garden, elementary, and middle school system, though some families opt to send their children to school in nearby Pisaq. What do the villagers love about their community? The fresh, crisp air; the breathtaking landscapes; the tranquil vibe of the mountains; their traditional ceremonies, dress, and rituals; and the warmth of community life. Demonstration of and participation in Andean agricultural techniques using ancestral tools. Presentation of the 180 native potato varieties by season. Guided hiking to explore the spectacular views of the nearby valley filled with its harvest of purple, orange, yellow, and red quinoa, the vast fields of barley, and the ever-present local "mithuy" and "k'antu" flowers. Trout fishing in the natural spring-fed mountain lake Kinsacocha. Animal husbandry demonstrations and participation with llamas, alpacas, sheep, guinea pigs, donkeys, hens, and ducks. Seasonal Llama and Alpaca festival. Ceramic handicrafts with natural pigments exposition and participation. 82 years old, Mr. Fermin is a farmer and Ex-President of the Paru Paru community. He is one of the oldest living members of the community and remembers when it was founded. 78 years old, Mrs. Sebastiana has lived in Paru Paru all her life. She is a weaver by trade. At 35, Mario is a much younger member of Paru Paru. His great grandfather was one of the community founders. Mario is currently the President of the Paru Paru Community-Based Tourism Association. He tried city life, but quickly returned to his rural home where the air is fresh and he could be close to nature. It was his vision to start a Community-Based Tourism (CBT) Association to share his community’s traditions, cuisine, and way of life with foreign visitors. He hopes that the cultural exchange will help visitors see a different perspective and help his people value the richness of their natural and cultural resources. Francisca is 42 years old and the President of the Paru Paru Textile Association.